This budgetologist purposely stays away from expensive wines so that her taste buds don’t acquire a taste for it…and you should too! Less money spent on wine is more money in your wallet of course. With that being said, this budgetologist also cringes every time she has to pay over $3 for wine. I strive to pay $2 every time I buy a bottle. And if you think about it, spending $4 on a bottle of wine is TWICE the amount I would normally pay. Paying $6 a bottle is THREE TIMES the amount I would normally pay! Ain’t nobody got time for that. With that in mind this is the best wine you can get on the cheap. It’s Less than 3 dolla and honestly, if you have a Walmart by you, you can get it for less than two dolla! 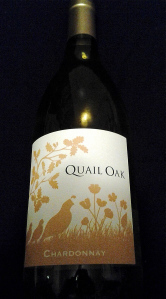 Quail Oak is by far the cheapest and the best quality…way better than Charles Shaw. Charles Shaw tastes like dirt and everything bad in this world! Meanwhile, Quail Oak is epic!! If I were you, I’d hit up Walmart TODAY to get these sweet red bottles of wine on the cheap. This budgetologist is definitely a cheap drunk, and always will be. Don’t waste your money on fancy wines…that’s a little pretentious. Posted on October 14, 2015 by thebudgetology	• This entry was posted in broke, budget, wine and tagged budget, cheap alcohol, cheap and good wine, cheap but good wine, cheap wine, cheapest drunk, cheapest wine, drinking cheap, save money on wine, wine. Bookmark the permalink.